This retro blaster is a perfect fit for iPhone, but it'll push your buttons. While playing RunGunJumpGun on my iPhone, I have scoffed loudly on multiple occasions, yelled “Are you serious?” at least a couple times, and may have elbowed a pillow or two. You might take these reactions for disgust or irritation, but quite the opposite is true: I’m crazy about the game, and I am deeply invested. However, it is also incredibly difficult. RunGunJumpGun (also on Mac) is designed with your swift demise in mind, and it’s up to you to gradually change that outcome. Each level in this side-scrolling, retro-stylized gauntlet sends your little hero into an array of hazards, whether they’re spinning saw blades along the walls, laser blasts that crisscross and fill the screen, or lava-like whips that home in on your location. Individually, each obstacle offers up a real challenge, but then the game starts pairing them up. And this is one of the easier levels you’ll face! Most stages only take about 10 seconds to clear from start to finish, but actually getting to the end may require several minutes’ worth of attempts, or maybe half an hour. Maybe more! 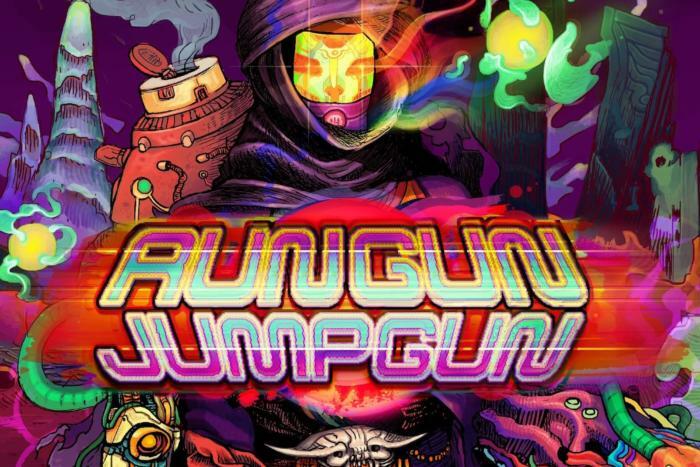 RunGunJumpGun isn’t a game that wants you to feel all-powerful all the time, but endure the stiff challenge and you’ll be rewarded with immense satisfaction each and every time you finally topple a tricky stage. Up to the task? Here’s a look at why RunGunJumpGun is such an amazingly enthralling action game for your iPhone. 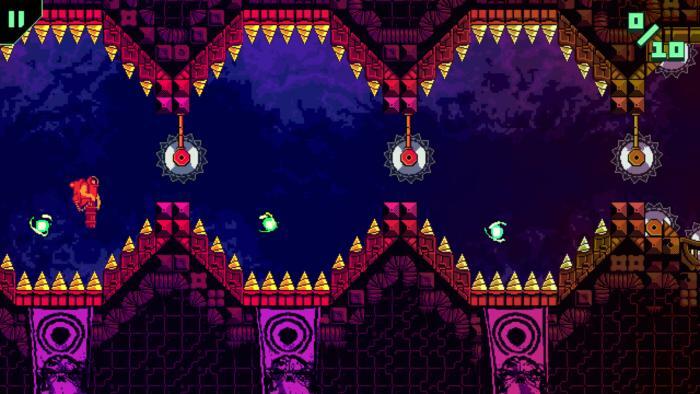 It’s a blast: As its title suggests, RunGunJumpGun puts all of its emphasis on your blaster. In a very Jetpack Joyride-esque move, the gun is used to quickly hover upwards, as you fire towards the ground to leap over obstacles and float through the air. But it’s also used to shoot at hazards ahead, which you’ll do to bust through barriers or take down spaceships and projectile blades. Your hero sprints along at a rapid pace, so not only do you need to contend with the death-delivering threats ahead, but you also need to make sure you don’t get stuck behind a wall or barrier and perish that way. Soar through the ceiling and you’ll pop up through the bottom in some stages. 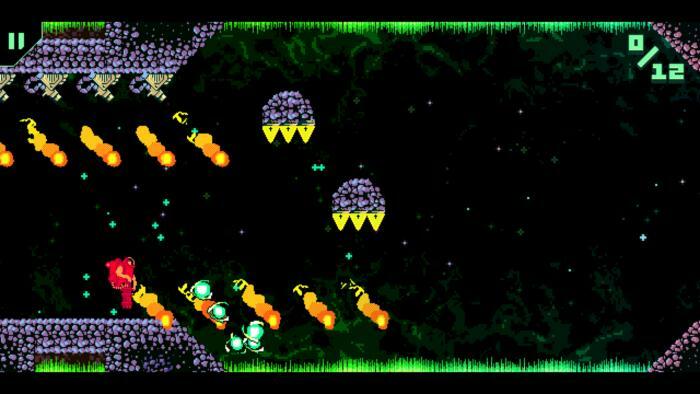 RunGunJumpGun is consistently tough, although it keeps things lively and interesting by frequently digging into its bag of tricks and pulling out fresh threats. Early on, you’ll navigate through tight caverns filled with spiked walls and laser beams, but before too long, you’ll find yourself in maze-like corridors that let you drop through the ground and appear at the top (and vice versa). You’ll need to figure out how to overcome each new twist and master every advantage to keep clearing levels. Simple and effective: While the challenges can feel quite complex, the game mechanics never are: this is effectively a two-button game, and could have fit perfectly on the original Nintendo Entertainment System. Tapping the left side of the screen makes the hero jump, while tapping the right side fires the gun forward. It’s really that simple; no need for an overwhelming array of virtual buttons here. Die at any point and you’re whisked back to the start (or a checkpoint) with a colorful trail. The tap controls are super responsive, and thankfully, RunGunJumpGun always keeps you in the game. When you die, your hero will zip backwards in a rainbow blast to the start, giving you barely a second to catch your breath before immediately trying again. This is a game of gradual improvement, and you might play a single stage dozens of times before you figure out the right path or pattern of taps to get you through. Being able to keep your momentum despite failure is a big benefit. Retro fabulous: Not only does RunGunJumpGun play like a classic game, but it looks like it too—albeit with a twist. 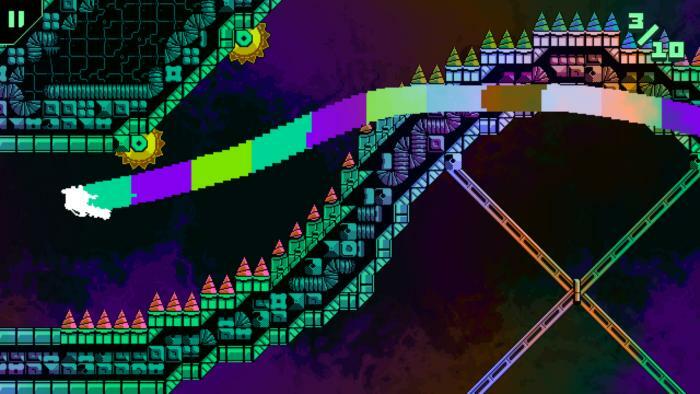 The chunky sprites fall somewhere between the 8-bit and 16-bit eras, but have a distorted edge and are often pumped full of trippy color patterns. 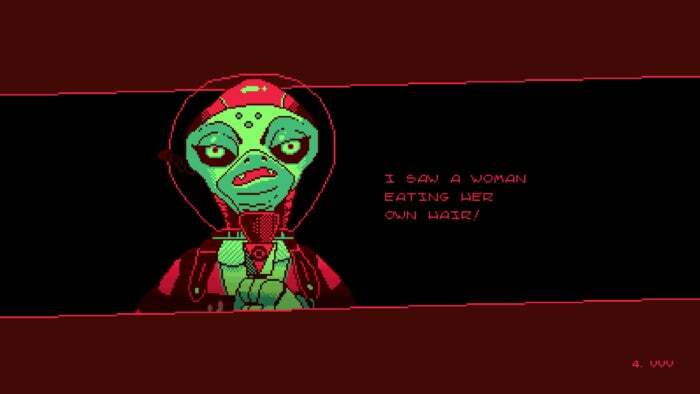 Add in the strange monster introductions before stages plus the loopy, genre-splicing soundtrack, and RunGunJumpGun has a very peculiar edge to it. The surreal and savagely violent Hotline Miami is a sure influence here. Uhh… right. The little story bits can be delightfully weird. This isn’t a casual game meant to while away spare minutes: defeating these intense challenges takes dedication and resilience, but RunGunJumpGun has an uncommon grip for an iOS action game. Despite the brief moments of rage it causes, or actually because it elicits such emotional reactions, this is surely one of the best games I’ve played all year.